NEW YORK--(BUSINESS WIRE)--B&H Photo would like to share the announcement of the Ricoh GR III, WG-6, and G900 compact digital cameras. 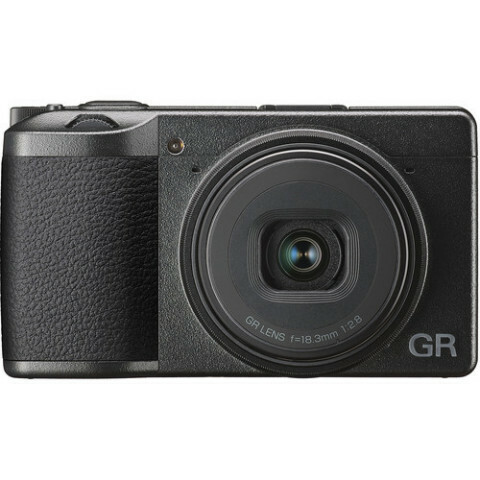 The GRIII adds an updated lens, sensor, and touchscreen operation to the GR line of compact cameras. Now including a 24.2MP APS-C CMOS sensor, the GR III provides improved tonality and image rendering compared to the GR II. Redesigned optics consisting of 6 elements in 4 groups (2 aspherical elements) yield a more compact design while maintaining its 18.3mm (35mm-equivalent of 28mm) f/2.8 format. Shake Reduction and Dust Removal features keep image capture sharp and free of pesky dust. The new GR Engine 6 and updated image algorithms produce greater contrast and detail in imagery. To increase usability, control key layout has been redesigned from scratch and its 3" Touch LCD Screen offers flexibility and simplicity to users. Photographers wanting more shooting options can attach the GW-4 Wide Conversion Lens via the GA-1 Lens Adapter to modify the lens by 0.75x. The WG-6 serves as a rugged compact camera designed to survive harsh working conditions. Extending the range of its predecessor, the WG-6 has a 28-140mm (35mm equivalent) optical zoom while sporting a larger, 20MP back-illuminated CMOS sensor for high-resolution image capture. It is capable of shooting 4K video at 30 fps, is optimized for capturing underwater colors, and features an Electronic Gimbal for smooth recording. Ring lighting is possible via six variable brightness LEDs surrounding the lens, benefitting macro and close portrait images. Waterproof to 20m, shockproof to 2.1m, freeze-proof to -10°C, and crushproof to 100 kgf, it is designed to perform well nearly anywhere. Operability is streamlined and enhanced for users wearing gloves via the addition of a customizable ADJ button and raised contours on the four-way controller. The WG-6 was designed with industrial uses in mind, since its chemical resistance allows ethanol disinfection, sodium hypochlorite disinfection, and chloride dioxide. Photographers needing GPS information with image capture will note that the WG-6 corresponds to the satellite navigation augmentation system and an allocated GPS button the four-way controller. A separately available silicon jacket and soft carrying case offer additional protection if needed. Finally, the G900 compact point-and-shoot, built to endure work-site use. Its back-illuminated 20MP CMOS sensor and 28–140mm (35mm equivalent) can capture high-resolution stills and 4K video at 30 fps. A 6-LED variable brightness ring light aids in close capture. With industrial applications in mind, it is waterproof to 20m, drop-proof from 2.1m, crush-proof to 100kgf, and chemical resistant. Worksite use is further benefited via password protection, barcode scanning, note-taking, and advanced GPS. As the world's largest source of photography, video, and audio equipment, as well as computers, drones, and home and portable entertainment, B&H is known worldwide for its attentive, knowledgeable sales force and excellent customer service, including fast, reliable shipping. B&H has been satisfying customers worldwide for 45 years. The Ricoh GR III continues the legacy of being a pocketable powerhouse, offering impressive image quality, fast response, and immense portability.